Nicely compliment your decor with this Cheese Head coaster; also protects the surface of your table from condensation run-off from your beverage; made with a soft foam in Milwaukee, WI. 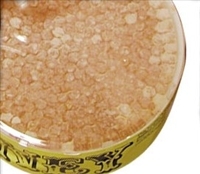 Price sold per coaster. 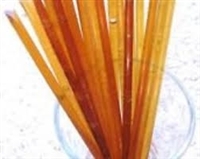 Six honey straws in Clover, Cinnamon, Lemon, Peach, Sour Cherry & Sour Strawberry flavors from Patz Maple & Honey Farms in Pound, Wisconsin. Fresh, pure mozzarella string cheese... Sold per 12 oz. bag. 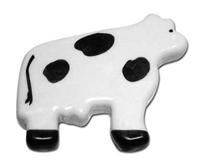 Wisconsin cheddar cheese in the shape of a cow! 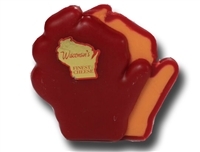 Wisconsin cheddar cheese in the shape of Wisconsin! 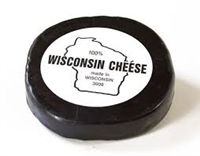 Mild Wisconsin Cheddar in a waxed wheel - ideal for shipping! 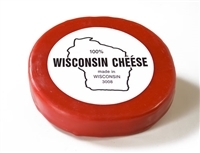 Medium Wisconsin Cheddar in a waxed wheel - ideal for shipping! 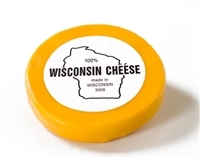 Sharp Wisconsin Cheddar in a waxed wheel - ideal for shipping! Natural Comb Honey from Patz Maple & Honey Farms in Pound, Wisconsin.